With doors at the new National College for High Speed Rail opening in September 2017, NCHSR Chief Executive Clair Mowbray is set to speak at this year’s National Rail Conference to outline exactly why the industry needs this new facility. Mowbray will take to the NRC stage at Birmingham’s BCEC (near New Street station) on June 15 to explain how the college’s curriculum will meet the skills need and how businesses have supported (and can support) the college. 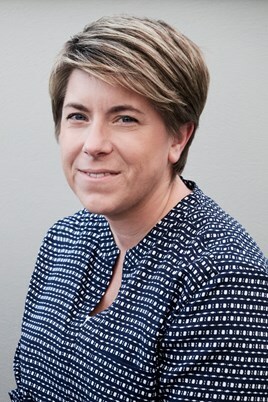 Mowbray was appointed to her current position in September 2016, having joined HS2 Ltd in 2014 to lead on the development of the new college, which has a campus in Birmingham and also in Doncaster. She has been instrumental is taking the project from concept through to its current stage of development. Prior to this, Mowbray was involved in strategic planning and development of education of 14 to 19-year-olds, supporting organisations through merger and advising Government on policy. More recently, she worked to develop a new approach to education and skills development for the South West Strategic Health Authority that focused on immersive virtual learning and professional development. To hear Mowbray talk about the new college and to see a virtual tour of its interior, book your delegate place now at www.nationalrailconference.com.